In late 2013, Americans were shocked to learn that a former FBI agent turned private investigator who disappeared in Iran in 2007 was there on a mission for the CIA. The missing man, Robert Levinson, appeared in pictures dressed like a Guantánamo prisoner and pleaded in a video for help from the United States. 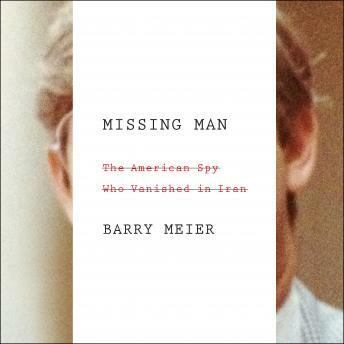 Barry Meier, an award-winning investigative reporter for the New York Times, draws on years of interviews and never-before-disclosed CIA files to weave together a riveting narrative of the ex-agent's journey to Iran and the hunt to rescue him. The result is an extraordinary tale about the shadowlands between crime, business, espionage, and the law, where secrets are currency and betrayal is commonplace. Its colorful cast includes CIA operatives, Russian oligarchs, arms dealers, White House officials, gangsters, private eyes, FBI agents, journalists, and a fugitive American terrorist and assassin.